Congress passed a US$1.3 trillion spending bill last Thursday, March 22 – only narrowly averting a third government shutdown this year. President Trump signed the bill into law on Friday. Congress’s inability to pass spending bills on schedule has produced unrelenting frustration and criticism by commentators and members of Congress alike. Because the congressional budgeting process has become so dysfunctional, many suggest that a return to earmarks, popularly known as “pork-barrel spending,” would grease the wheels for appropriations bills. An earmark is money provided for an individual project in an elected official’s district, as a way of encouraging that official’s vote for a spending bill. A return to earmarking – for projects ranging from new bridges to museum funding to renewable energy research, tailored for individual members’ districts – would require lifting a 2011 moratorium imposed on the practice. I have studied the effect of pork-barrel spending on passing spending bills. Although earmarks are worth reconsidering as a way of greasing the legislative wheels, I would argue that the case for them is mixed. Pro-earmark arguments have come from both parties . The supporters include Sens. Patty Murray, D-Wash., and Susan Collins, R-Maine, as well as President Trump . Simultaneously, pressure from House Republicans has led Speaker Paul Ryan to allow hearings to consider ending the 2011 earmark moratorium. Prior to 2011, these earmarks were, with a few exceptions, regularly, and until 2006, in increasingly large numbers, put into appropriations bills as well as highway reauthorizations to help smooth the way to passage. My own research , as well as that of Frances Lee of the University of Maryland , shows that earmarks helped transportation committee leaders pass three massive highway bills, overcoming significant policy controversies surrounding each bill. I also found that earmarks were often helpful in passing appropriations bills. To supporters, on the other hand, earmarks are congressionally directed spending. They are a legitimate use of Congress’s constitutionally mandated power of the purse , which, not incidentally, may help members’ political careers. 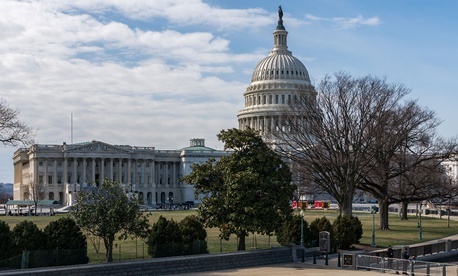 Earmark proponents say a return to the practice could remedy the long-running difficulty of passing appropriations bills in a carefully considered, transparent manner. What did we spend that money for? In the normal appropriations process, Congress would pass twelve individual spending bills each year, a process designed to give members of Congress a chance to examine the spending in each bill before voting. Data compiled by the Pew Research Center show that between the 2011 earmark moratorium and fiscal year 2018, only one individual appropriations bill was enacted, rather than the 84 appropriations bills Congress should have passed. Instead of using the process that encourages careful consideration of individual spending items, Congress has funded government agencies in massive omnibus appropriations bills or full-year continuing resolutions . These bills make it virtually impossible for members to know what they are voting for. This breakdown in the appropriations process coincides neatly with the earmark moratorium. However, prior to the moratorium, the process did not always go smoothly. The large increase between 1991 and 2006 in the cost of earmarks, from $3.1 billion to $29 billion, did not ensure the passage of stand-alone appropriations bills. Would earmarks now help Congress pass appropriations bills? The evidence is less clear than it is for highway bills. I analyzed a number of Senate appropriations bills from 1994 to 2000; although the political dynamics might be different today, the findings could be helpful for the current conversation about earmarks. In 1994, when the Democrats still controlled Congress, earmarks helped convince senators to vote in support of the positions of the powerful appropriations subcommittee chairs. After the Republican takeover in 1995, however, earmarks were somewhat less effective. By 2000, with Republicans still in control, earmarks – although growing in number and cost – had no discernible effect on senators’ appropriations votes. My interviews with committee staff members suggested various reasons for this. Prominent among them, according to one staffer, was the fact that votes were “increasingly … on highly charged substantive policy matters.” Senators needed to vote on those issues in a partisan manner, regardless of earmarks. Another staffer blamed the failure of leaders to punish disloyal members by removing their earmarks. It is difficult to predict how returning to pork-barrel spending would work today. For earmarks to be effective tools, members who otherwise would oppose the bills on a partisan or ideological basis would have to vote contrary to their own or their party’s preferences. Their willingness to do so would undoubtedly depend partly on the electoral consequences. As Yale political scientist David Mayhew has argued , members believe that bringing benefits to their home district gives them something they can claim credit for, enhancing their chances for re-election. That gives congressional leaders leverage over members’ votes. The evidence for this effect is nuanced, however. Earmarks can help members win re-election , especially when members claim credit for them . But there is also evidence that constituents are more likely to reward Democrats than Republicans for such benefits . This is not entirely surprising, given that earmarks are consistent with Democrats’ commitment to activist government. For Republicans committed to cutting the cost of government, bringing home earmarks could be painted as hypocritical. These differences could help explain why I found that earmarks provided leaders with less leverage over members’ votes in Republican-controlled congresses. The negative effect of earmarking for Republicans may have grown over the last two decades, as critics have increasingly made earmarks a national issue, framing them as egregious government waste. At their peak, earmarks amounted to approximately 3 percent of the discretionary budget, the portion that Congress controls, which amounts to about one-third of total federal spending. As a result of earmark reform in 2007, spending on earmarks dropped to 1.3 percent of the discretionary budget . In fiscal year 2010, earmarks cost $16.5 billion. Earmarks are vulnerable to other criticisms, not least of which is the disproportionate share awarded to the districts of the most powerful members, particularly to members and leaders of the appropriations committees. For example, scholar Austin Clemens and his colleagues found that in 2008 and 2009, members of the House Appropriations Committee got 35 percent of all earmarked dollars. That was more than twice what they would have received if earmarks had been equally distributed among all the committee members. In addition, the majority party gets disproportionately more earmarks than the minority, although the minority gets enough to make it harder for them to use earmarks as a campaign issue. That’s a strategy dubbed “partisan blame avoidance,” according to Steven J. Balla of George Washington University and his colleagues . While it is tempting to condemn earmarks as frivolous at best, and wholly wasteful and corrupt at worst, research on their uses and effects paints a more complex picture of their role in the governing process. As Congress wrestles with the process of passing individual appropriations bills, Republican leaders may respond by once again allowing earmarks in appropriations bills, winning more Democratic votes for spending bills, and protecting some of their own vulnerable members at the polls. This post originally appeared at The Conversation . Follow @ConversationUS on Twitter.